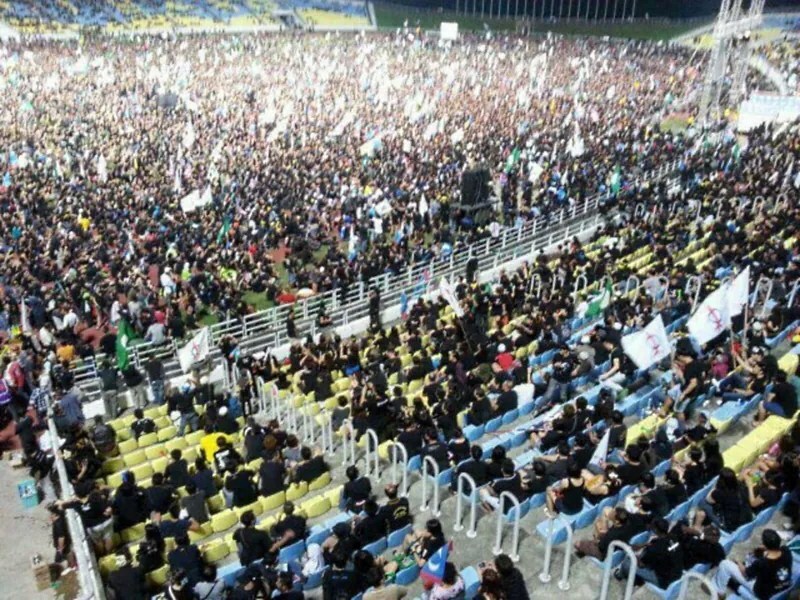 Thousands of people attended the Penang #black505 rally last night (11th May 2013, Saturday) organized by Pakatan Rakyat to protest the outcome of the 13th Malaysian general election. 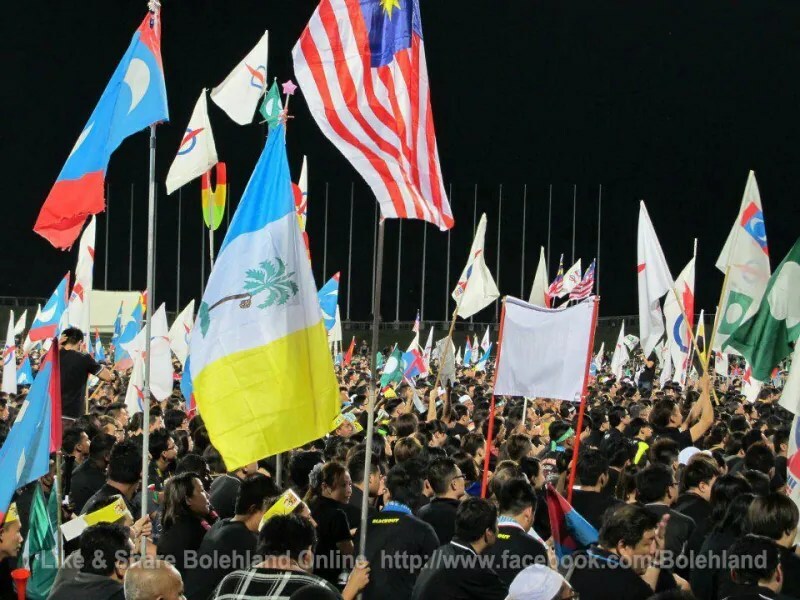 This was the second leg of series of gatherings, with the first having taken place at Kelana Jaya stadium on 8th May 2013 (Wednesday) in Petaling Jaya, Selangor. 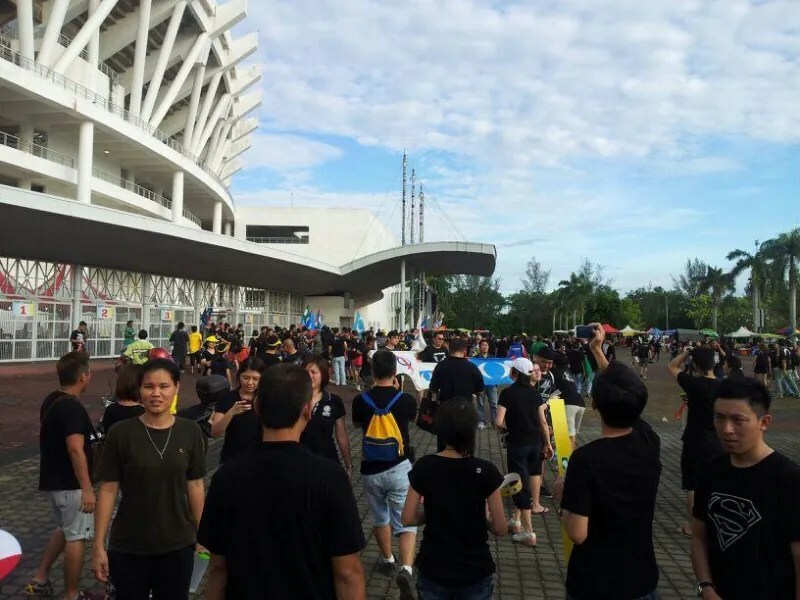 It was reported that many who turned up, donning black outfits, had to park their cars at the Bukit Tambun toll plaza a few kilometres away due to the traffic congestion. Carloads of people were seen on major roads leading to the stadium, causing a traffic crawl from 5pm onwards. 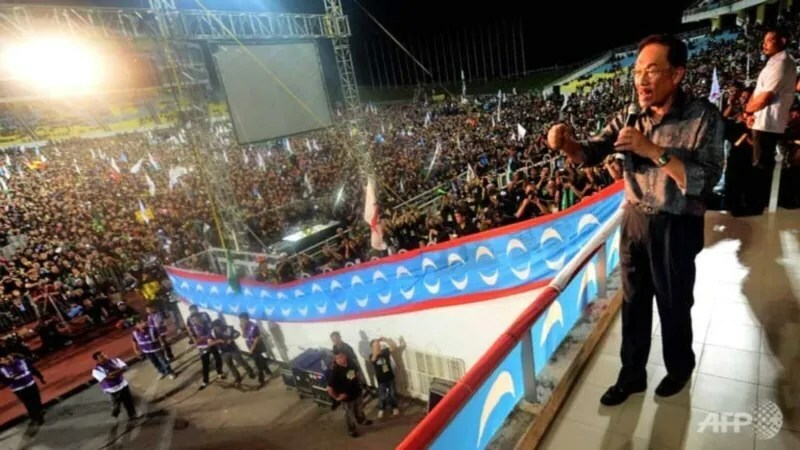 According to Star Online, the Batu Kawan stadium took on a carnival-like atmosphere with thousands in the full-fledged “black parade”. The people were seen carrying party, state, and national flags. By 9pm, the stadium was half full and the crowd was mostly on the pitch. De facto Opposition leader Datuk Seri Anwar Ibrahim arrived at 8:30pm. Various online reports confirmed PKR president Datuk Seri Dr Wan Azizah Wan Ismail, Penang Chief Minister Lim Guan Eng, PAS deputy president Mohamad Sabu, as well as other Pakatan leaders in the state were also present. Anwar then addressed the tens of thousands in Penang by saying, “The last election if the other of all frauds. In these elections, we demand answers, and we demand the answers now”. He also added that the opposition would focus less on challenging the result and more on exposing pro-government biases in the electoral system, and that he will soon produce evidence of the fraud. A third is scheduled to be held at Medan Istana 5 in Ipoh tonight. Sources: NST, Malaysia Kini, ABN News.